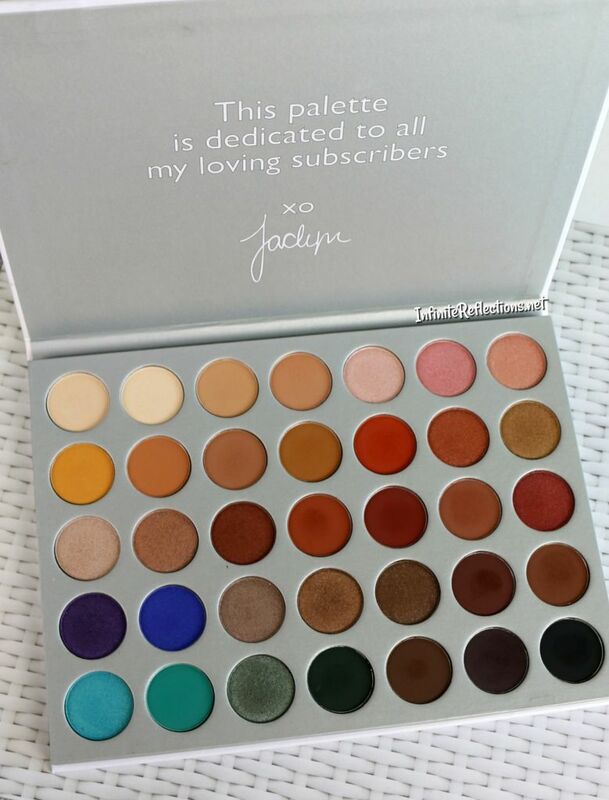 This palette apparently took 2 years in the making and Jaclyn changed the shadows many times, sent them back to the Labs numerous times until she got everything perfect. I must say that she did manage to achieve an almost near perfect palette. She has said that she created this palette specially for her subscribers and they will continue to restock this palette until everyone, who wants this palette, has one. I believe this palette sold out in minutes when in launched, such was the craze. But, Morphe is continuing to restock this palette and it seems they are also going to make the packaging better. Speaking of new packaging, let’s talk about the current packaging first. 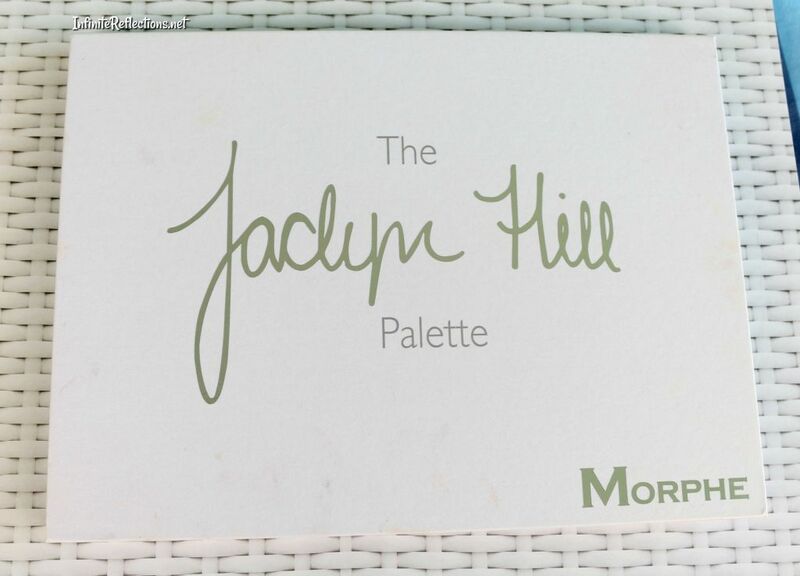 Unlike standard Morphe palettes which are plastic, the Jaclyn Hill Palette has a standard cardboard packaging and it’s in her favourite colour white. A huge white eyeshadow palette with so many colours, clearly this is not the most practical, travel friendly palette. 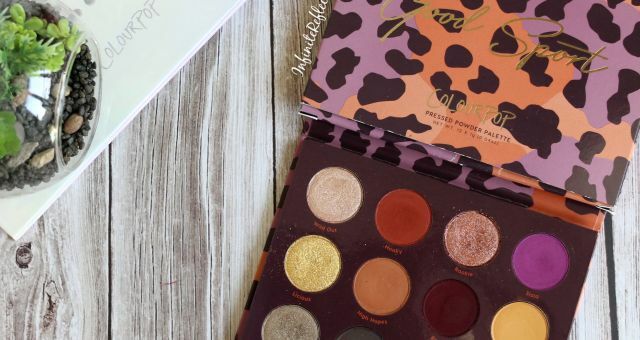 The palette doesn’t have a glossy finish either so if you are not someone who is careful with your eyeshadow palettes, I am pretty sure your palette is going to look really messy after a few uses. So, definitely I am not a big fan of the packaging. On the positive side, the palette is quite lightweight even though it’s quite huge and it does feel very sturdy. There is no mirror in the palette but I like that the palette can be laid flat very easily. 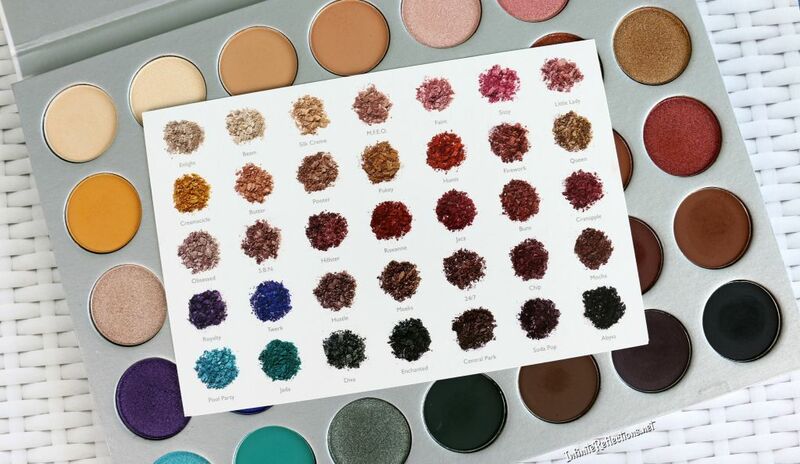 The shade names are not printed on the palette itself but we do get a shade card mentioning all the shades names. 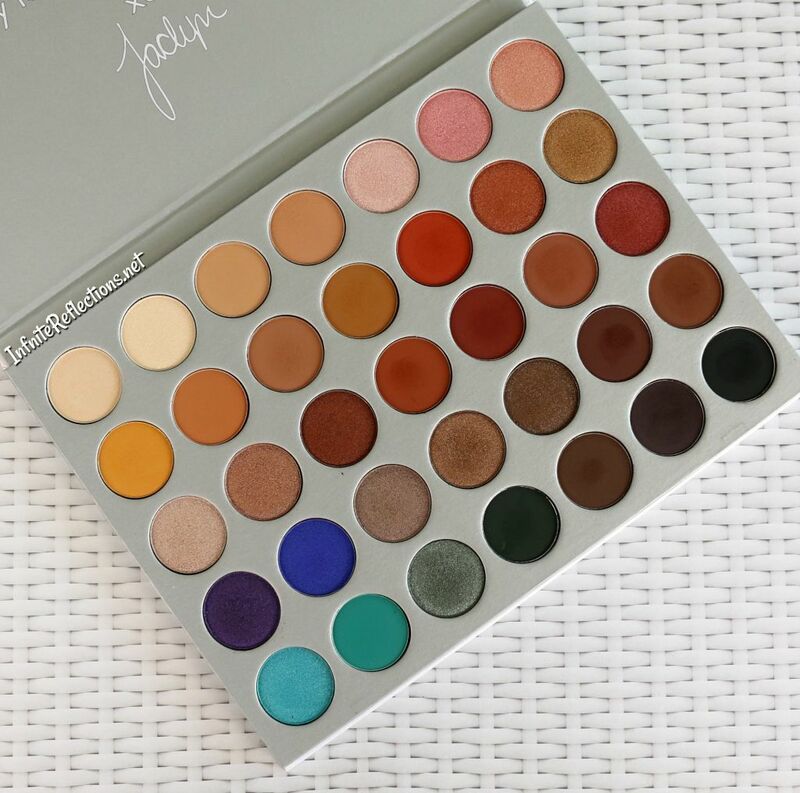 If Jaclyn has taken so much pain to name each and every shade then it makes more sense to just print the names on the palette. So, definitely didn’t like this shade card business, specially, since this palette also does cost more than regular Morphe palettes. Now, I have heard that they are going to re-do the packaging with a glossy cover and shade names printed on the palette. I am excited to see how the new palette looks like. But, I am also disappointed that Morphe didn’t do this at the first go, specially since this palette was 2 years in the making. As a buyer, I do feel a bit cheated that after paying the same amount of money (and it’s quite a lot! ), I did not get the best packaging that they could do. So, definitely if you are someone who wants to get this palette, I would urge you to find out more about the new packaging and when it’s releasing. This palette is a typical Morphe 35 pan palette and the total weight of the shadows is 56.2g/1.98 oz. So, each shadow is roughly 1.6 gm/0.06 Oz, which is quite a lot of product in each pan. 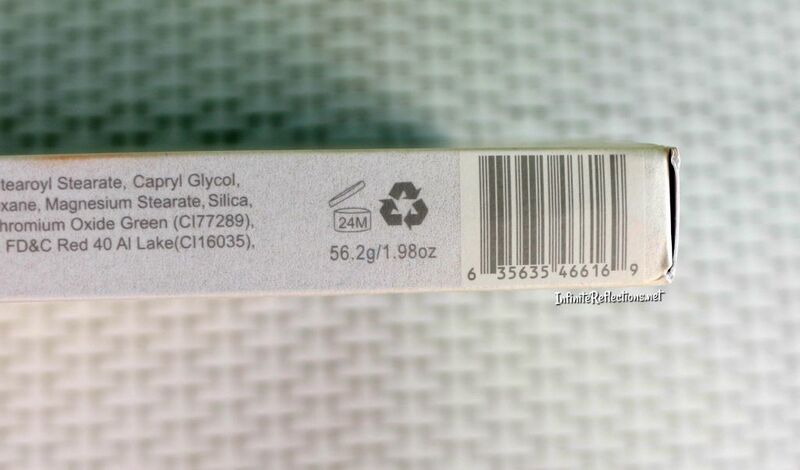 Here, you can see the ingredient list of the palette. The palette is good for 24 months, which is a huge plus. 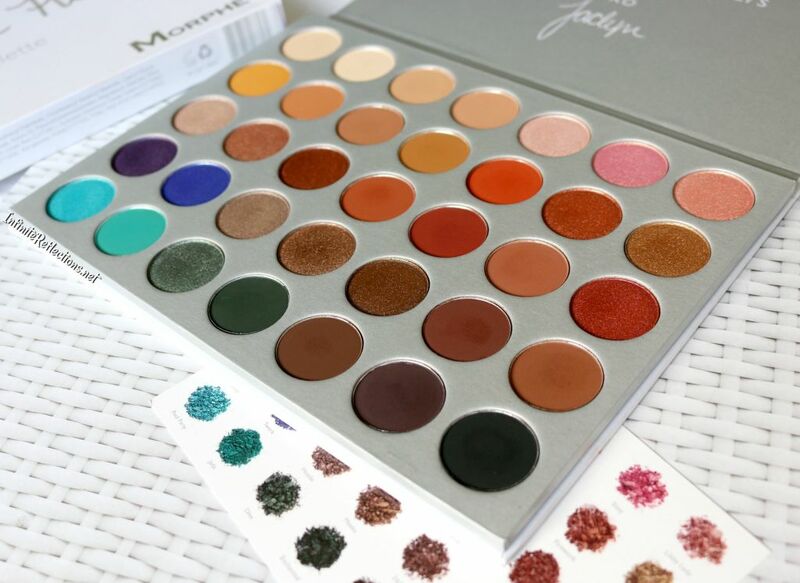 I purchased this palette from the Morphe website, where I paid USD 34.20 (original price of the palette without using any promo code is USD 38) and USD 29.95 for shipping to Singapore. So, the price of the palette is quite reasonable but I paid an astronomical shipping price which made my total USD 64.15 (SGD 87). 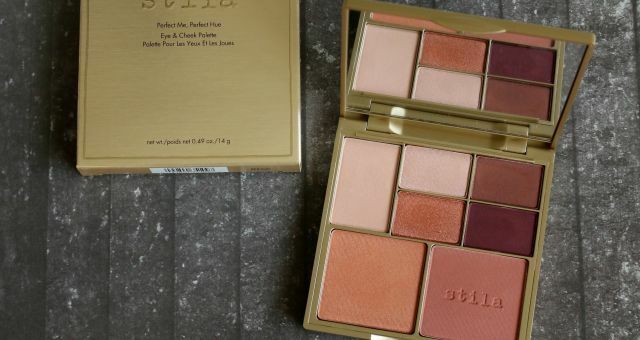 The palette reached me in 3 working days after getting shipped so I did receive the pallete very quickly. 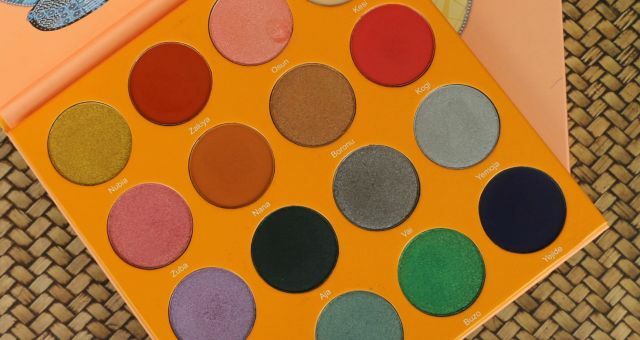 The only way I can justify the shipping is that currently most resellers are charging anywhere between 95-120 SGD here in Singapore for this palette, so if I had to purchase it here then I would end up paying a bit more anyways. Also, we are getting a whole lot of eyeshadows for that price. Now, let’s talk more about the actual shadows. 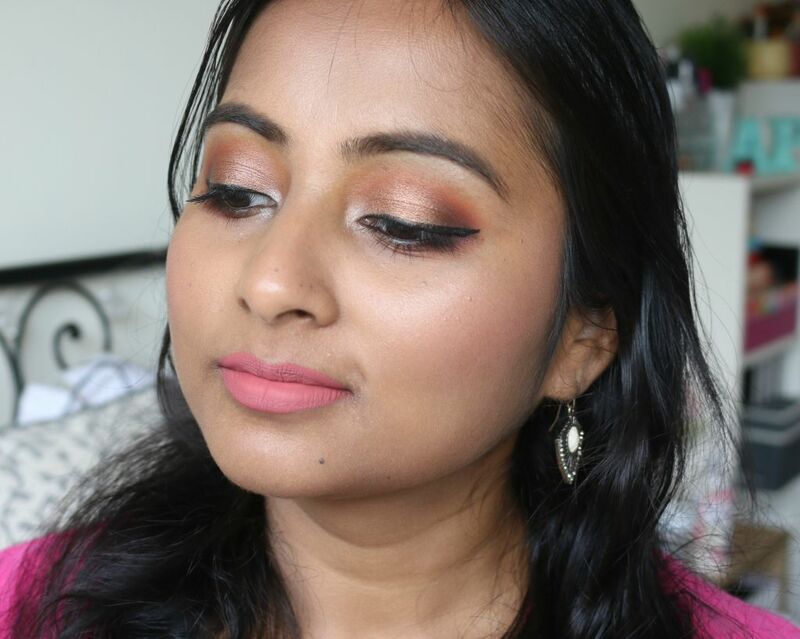 There are 35 shadows in this palette and it is a warm toned, neutral palette with a few pops of colours. 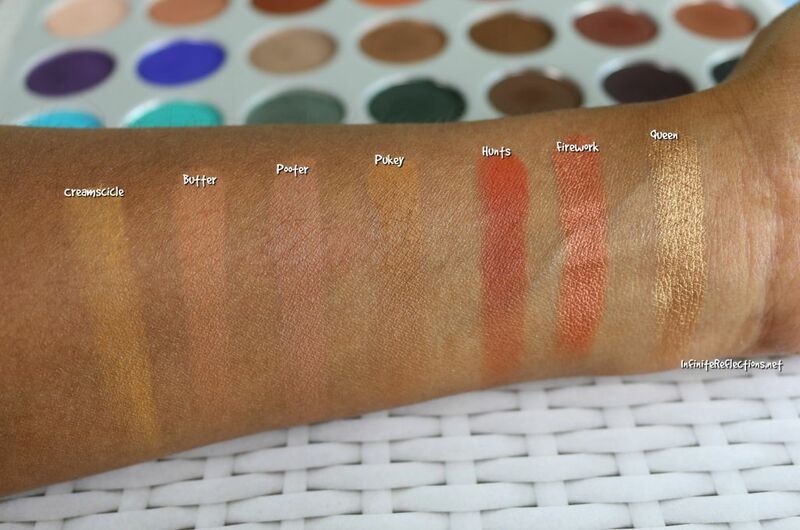 There are 17 shadows in the palette which are matte and rest are mostly shimmer or metallic finishes. My experience with this palette is great and I didn’t feel I had many issues working with this. The pigmentation of the shadows are really good. 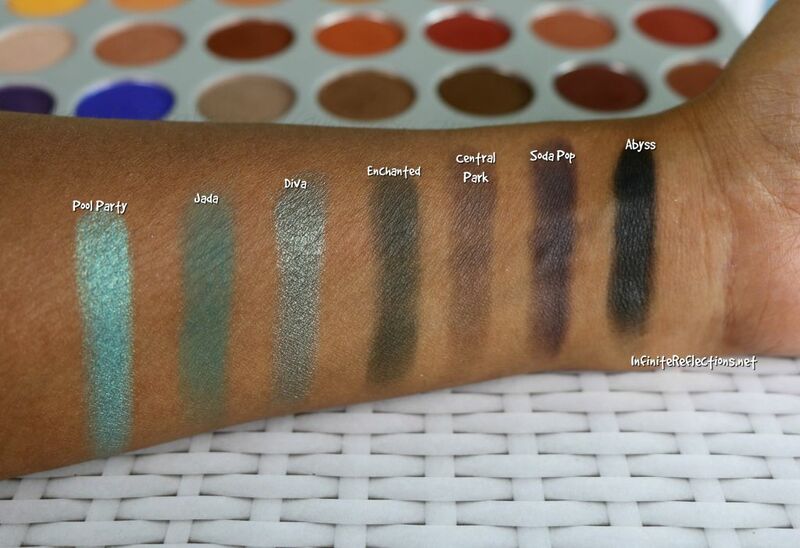 Mattes : I think the matte shadows have surpassed my expectation. I have two more Morphe palettes, and I have always felt that the matte shades in those two palettes were lacking. However, Morphe have outdone themselves in this palette. The mattes are very creamy, soft, buildable and blend-able. I did not find them to be powdery or chalky and even if one or two shades feel a little chalky, all of them perform really well on the eyes. All the matte shadows are pigmented well and you get a good colour pay off at one go and don’t have to build up the colour too much. 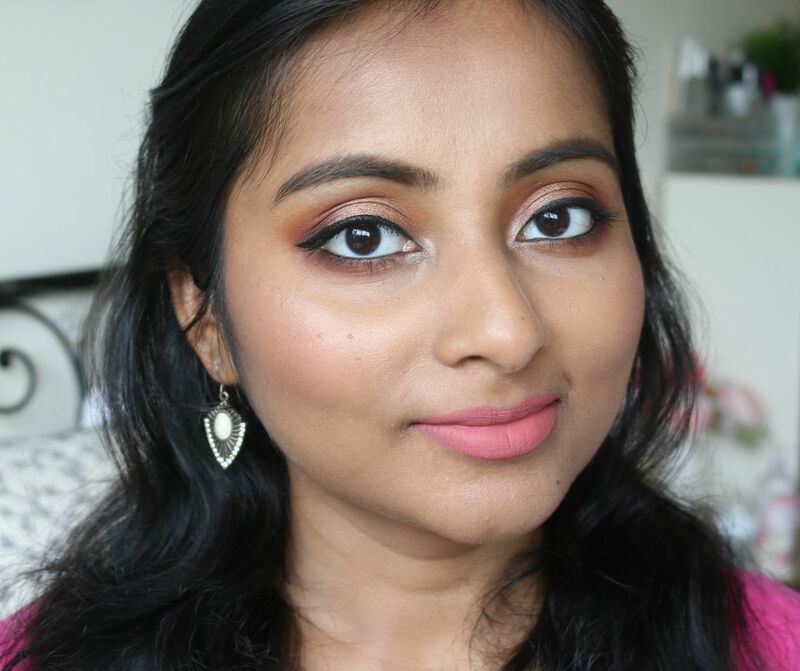 Overall, I am very happy with the matte shades as they are very easy to work with. I did not notice a lot of kickback or fall out either. Shimmers/Metallics: There is no doubt that the shimmer and metallic finish shadows are amazing in this palette. Morphe does have a very good shimmer formula in the other palettes as well and I wasn’t expecting any less in this one. Infact, I feel the shimmers and metallic shades in this palette are even more smooth and intense than my other two Morphe palettes. Jaclyn has done an amazing job in choosing a variety of shimmer shades and all of them have an excellent pigmentation and colour payoff. However, for maximum intensity, I did have to use my fingers for most of the shadows. 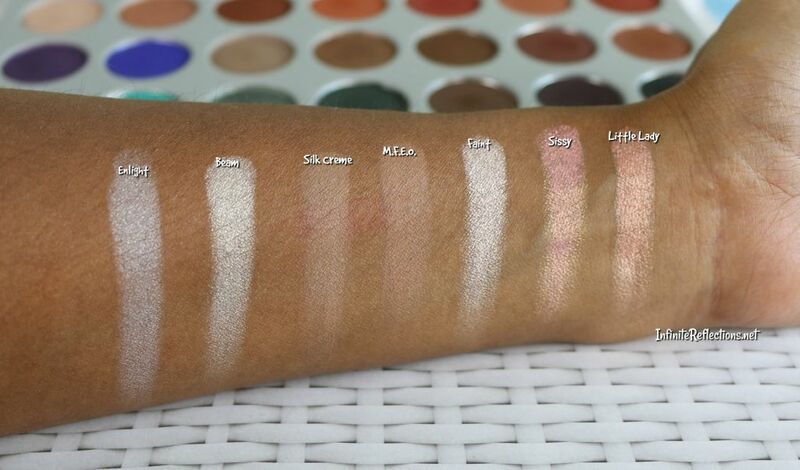 I think only one shimmer shade which is called “24/7” is a bit lacking in pigmentation and intensity. 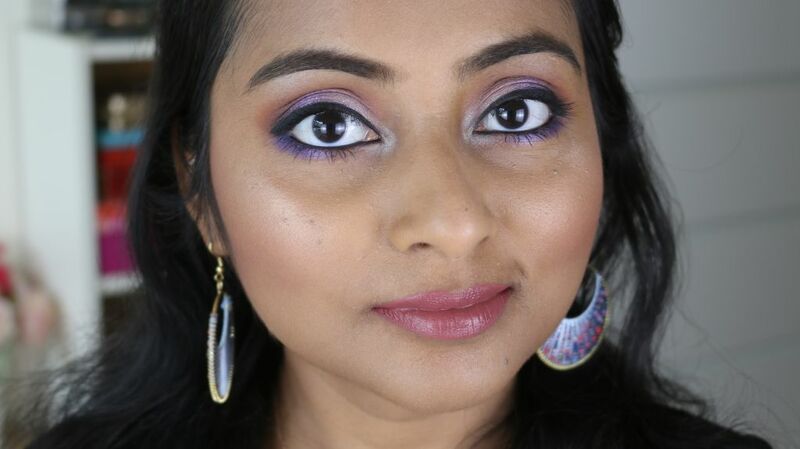 Other than that, all of the shimmers and metallic shades work great on the eyes. There is no matte brow bone highlight shade, which is my preferred way to highlight brow bone area. The black shadow “Abyss” is not the blackest black which I have seen. Its a decent black but if you are looking for an intense black eyeshadow you might be disappointed. 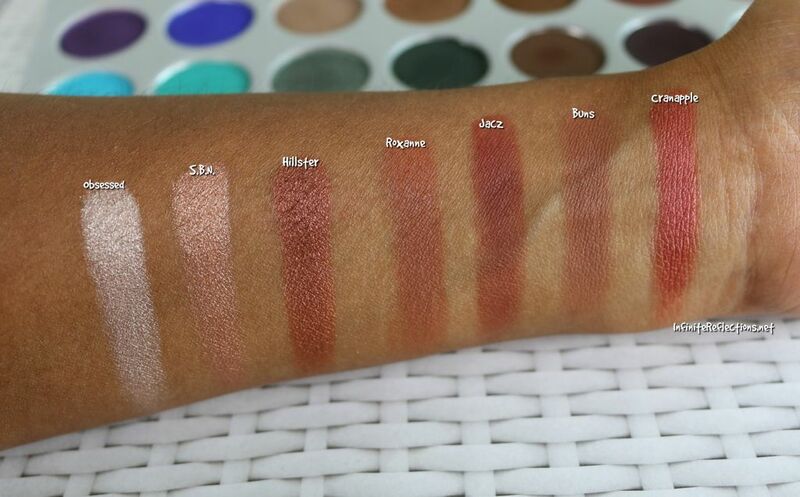 Some of the neutral matte shades do look similar of my skin tone. 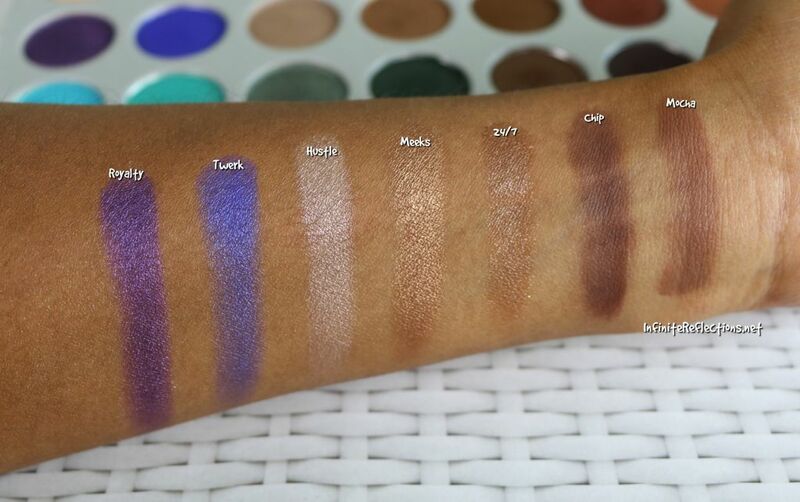 Here are the swatches of the shadows on my skin tone. Row 2: Very difficult to choose favourites from this row, they are all so good! Row 3: This row gives a very “Urban Decay Naked Heat” vibes, you probably don’t need that palette if you have this one. Row 4: The standout is definitely the pops of colour in this row. 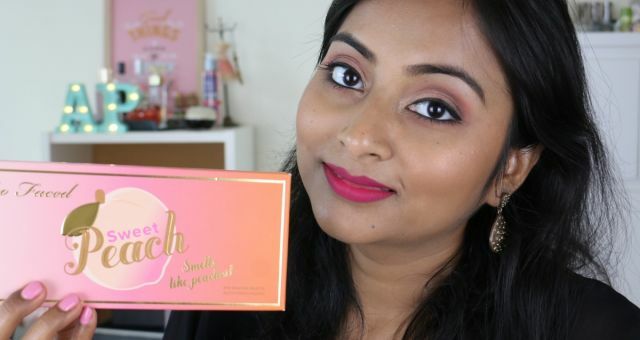 The matte shades do look little patchy in the swatch here but trust me they are buttery smooth and soft. Row 5: I love the shades “Diva” and “Enchanted” from this row, definitely something unique in my collection. I hope this review was helpful. 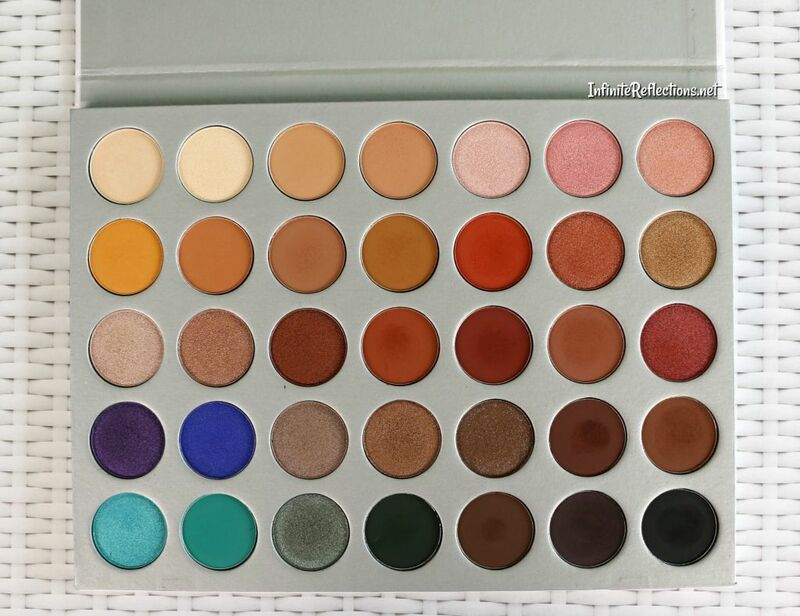 Do let me know if you guys have this palette and what do you think about it. That’s all for today everyone. Cheers! Some of the looks I did with this palette. Loved ur video. And this palette hv very useful shades. 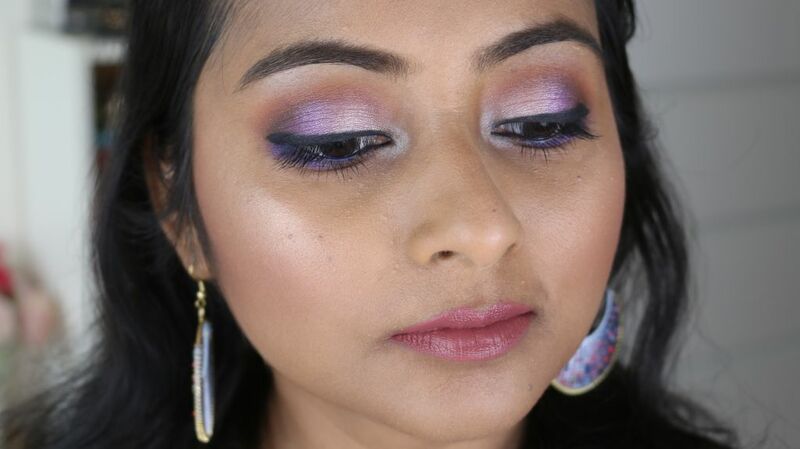 U can create lots of eye look with this palette. Nice! Beautiful! I am so lusting over this palette! I might go to Ulta today and see if they have it on display. Shipping to Singapore is supert expensive, huh! Thanks dear 🙂 I m glad u visited the page inspite of not liking Morphe palettes.